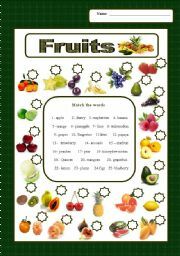 This is very useful sheet for elementary students to make a recipe. 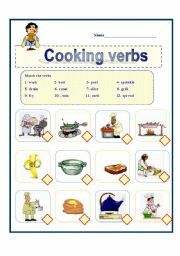 Also I have matching activity about it, so you can use this first to teach them the meaning of these verbs and the other day they can match it. I´m trying to download the power point but it takes time hope I can do it soon have a wonderful day. 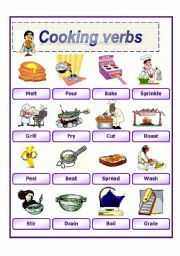 It helps the student to learn new cooking vocabulary enjoy it. 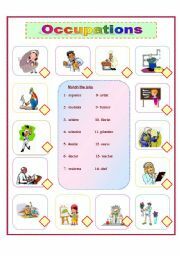 Match the pictures with the occupations. Match the pictures with the words enjoy it. 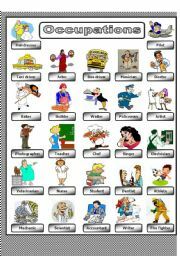 This activity is very interesting for young learners showing different jobs hope you enjoy it. 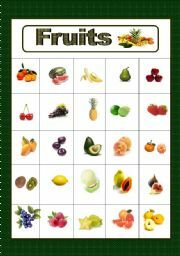 Fruits pictionary for elementary hope you like it. Thanks a lot for all your comments and have a nice day .